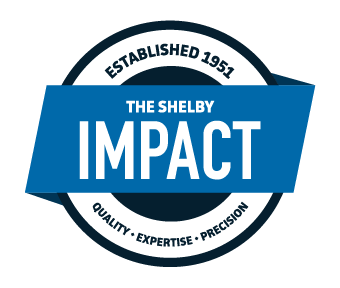 Shelby Materials produces precast items at our Indianapolis locations that are ready for immediate pick up. For further information, see our individual products or call (317) 782-3200 for additional information and pricing for your project. 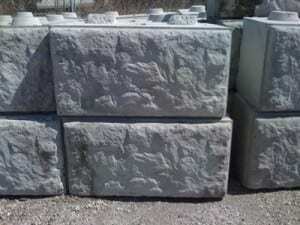 Precast landscape block made from ready mixed concrete can be purchased in regular grey color or stained to provide your residential or commercial setting with a durable yet attractive decorative retaining wall or border. These blocks are large enough for any size job, yet small enough to be handled by light-duty equipment such as a fork lift or skid steer loader. 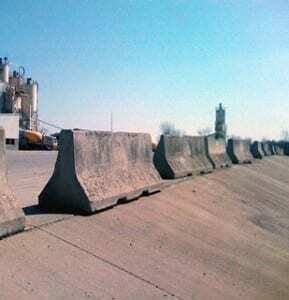 Precast barrier walls are used for traffic diversion, entry prevention and median barrier. They are not INDOT approved barrier walls. 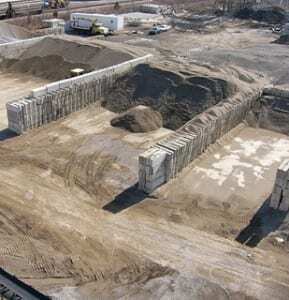 Our large precast barrier cubes or “GaineyCubes” can stack side by side, on top of another, or intersect to create barriers, storage areas, dividers, or structures for just about any useful purpose. 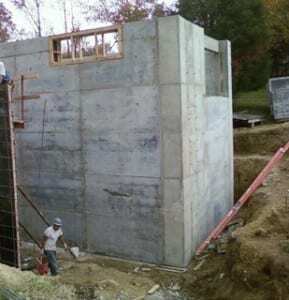 With insulated concrete form walls, concrete is poured inside the insulated hollow forms, the concrete hardens and the form stays in place giving the homeowner a safe, quiet, well insulated home. There are many advantages to an ICF house: 25% to 50% energy saving and a proven track record to withstand the ravages of tornadoes, hurricanes, and fires.